Do you remember where you were when Twitch Plays Pokémon finished Pokémon Red? It was only in 2014— barely three years ago—but many people who actively participated have already forgotten about it; interest faded fast after the game was “won,” and although there are plenty of records—including the channel still running Pokémon games—the event as a full-fledged mainstream phenomenon is long ended. Social phenomena such as Twitch Plays Pokémon present a unique problem to researchers, since the phenomena may quickly fade from public memory and certainly cannot be reproduced in any accurate way for a researcher’s work. The problem of replicability and social phenomena becomes even more pronounced when studying multiplayer phenomena in which each player will see and experience a different screen. There are recordings of the entire Twitch Plays Pokémon event, but how do we record the record-breaking launch of Pokémon Go, for instance? In fact, as multiplayer online games like the ones from Cozino and augmented reality games become increasingly prevalent, researchers will be faced with an even more fundamental epistemological question: what is the gameplay experience? That question is not a new one, of course; it has been asked since the beginning of game studies, even before digital games became the focus of game studies. Most researchers have been content to preserve the code of a digital game, or to preserve the rules and pieces of a board game, or simply the rules for other, more folkloric, games such as Tag. With these preserved elements, researchers have assumed, the game can be recreated, even if the cultural context cannot. Such a view assumes that the rules are the game; but what if the game is the social phenomenon itself? The person playing a point-and-click adventure for the first time in 2017 has a very different experience than the person who bought it at a Circuit City when it was first released and participated in the initial fandom phenomena; when recording the significance of games in history as situated rhetorical objects, it becomes necessary to account not only then for the content of the game, but for the experience of the game for the people who participated in the phenomenon initially. Ephemeral gaming, then, is a game scenario that cannot be reconstructed because it depends on some kind of temporary or changing social element. For instance, AR (Augmented Reality) games such as Pokémon Go and its predecessor Ingress depend on maps of the real world as it is at the time of gameplay; without these maps, the games are meaningless and unplayable, no matter how much code is preserved. 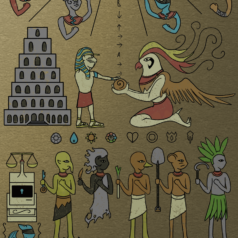 Likewise, a phenomenon such as Twitch Plays Pokémon depends on a unique, irreplicable confluence of players, interest, and randomness. Even MMOs that have received a lot of study as social phenomena, such as World of Warcraft, contain ephemeral elements, as each update significantly changes gameplay, and there are events and other social scenarios that cannot be reproduced for a researcher. At the most inclusive, ephemeral gaming could include any game, since every instance of any game is going to be colored by a unique set of social influences. Why did the players choose that game? What social stakes are there for the players in playing that game at that time? And so forth. However, to stretch definitions that far is to chase something like madness, since it is necessarily impossible to document every instance of every game being played. It is more helpful then to consider ephemeral elements in a game and recognize these as being irreplicable, and then to refer to any game that itself becomes unplayable in the absence of these ephemeral elements as an ephemeral game. Many online games, then, become ephemeral games, even with attempts to archive their editions; these games are dependent on server support, changed constantly by updates, additions, and revisions, and involve one-time events that cannot be reproduced. A game like tag, while having many ephemeral elements, is fundamentally not dependent on these to be played; thus, tag is a fairly stable game, although it has innumerable variations, and every gameplay experience will be unique. And AR games, which depend on the present conditions of the landscape itself at the time of release and play, are incredibly ephemeral. At the core of the problem of ephemeral games is also a question of what is the text itself, a question not limited to game studies. Consider, for instance, the experience of reading a novel by Charles Dickens. The novels themselves are unchanged; we have first printings, both in monthly issues and in omnibus volumes, as they are read today. We have editions that replicate the text perfectly, and even include the illustrations. But we also have editors who decide that the text is only the printed words and neglect to include the illustrations, despite evidence that Dickens worked closely with his illustrators and considered them an integral part of the composition. Do we then have the entire text, in this array of preservation? Arguably, no, because we do not have the experience of episodic reading. These texts were read over two years in monthly installments and featured heavily in social life at the time, much the same way that people who were involved in Twitch Plays Pokémon would discuss developments socially outside of the Twitch environment itself. These discussions are arguably a significant part of the experience, but cannot be reproduced beyond some trace records in people’s letters and diaries; similarly, the attendant social phenomenon of any game’s release and popularity can only be understood through indirect records, such as archives of fan discussions. 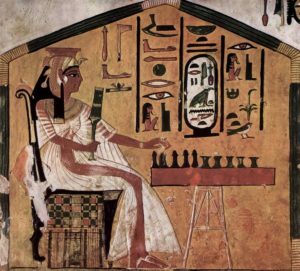 Consider also the case of the ancient Egyptian game Senet. We know what the pieces were; we have the grave goods, for instance. We know something about the setup of the game, since we have illustrations of people playing it. We do not have the rules, though, no doubt because it was fairly assumed that everyone knew how to play or knew someone who could teach them. We know it was socially significant, because it was included in grave goods and because it was illustrated. But although we have several basically playable reconstructions of the rules based on ludic theory and careful examination of the evidence, we do not actually have the means to reproduce the game. Nor do we have the means to reproduce the game as it would have been played socially, along with its attendant social meanings and perhaps class associations. You can, for instance, record the rules of poker or chess, but how do you explain outside of the culture the meaningful difference between who plays these games? To say a person enjoys poker and is good at it is a completely different meaning in our culture than to say they enjoy and are good at chess. What, then, of ancient games, for instance? Is it enough to simply reconstruct the rules? In an earlier post here on Play The Past, guest writer Josh Howard provided a deep discussion of the role of oral history in studying MMOs and recommended ethnographic methods for studying these ephemeral games; this is an accepted research practice for MMOs, and a significant body of these ethnographies will no doubt prove invaluable to future researchers. In fact, for any researcher interested in conducting such ethnography, I highly recommend Tom Boellstorff, Bonnie Nardi, Celia Pearce, and TL Taylor’s Ethnography and Virtual Worlds: A Handbook of Method. With these ethnographies, future researchers will be able to situate the social significance of these games and understand their role culture, as well as the content of the games themselves, even if the games themselves are by that time unplayable due to a lack of server support, erasure by updates, and other kinds of gaming decay. The question remains how to study even more ephemeral games. Certainly, we have full recordings of the Twitch Plays Pokémon as an event, and these should be preserved; we have let’s plays of other games, including Minecraft, which will provide a picture of how players interact with and respond to games. 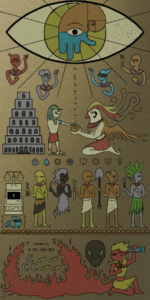 In the case of Twitch Plays Pokemon, we actually have several conglomerate sites that attempted to document the event’s significance as it unfolded, and these make excellent starting points—in fact, such documentation should be preserved and encouraged for any number of social phenomena in gaming, such as guild blogs for MMOs and fandom sites for other games. We have countless opinion pieces and first-person accounts of the launch of Pokémon Go, along with screenshots shared on social media. The researcher interested in these phenomena will be both inundated by and at a loss for data about these games. There are any number of things written at the moment about them, and yet no clear way to assemble that data in a meaningful way. Since these games are both social and personal, played on personal devices, it becomes necessary to create some kind of larger picture out of the pieces. For these games, an ethnographic method may not be enough. Rather, it may be best to employ some digital humanities techniques, such as coding qualitative data—perhaps collected discussions or researcher-initiated surveys—as well as creating statistical pictures of who is playing when. In the case of ephemeral gaming, technology destroys as well as it records, and researchers must be aware of the temporal nature of games that can be entirely changed or even erased with something as routine as an update, a patch, or a server change. Great post Angela. Really enjoyed it. The idea of documenting ephemeral gaming moments is still a question I’m wrestling with, and it’s still a challenge to get folks in the academy to take seriously. I imagine that Gaming History is a lot like Sport History was 40 years ago. I hope that it will become just as legitimized sooner rather than later.